We’re about to hit a point where we stop calling them “games as a service” and just call them “games,” because it’s rapidly become clear that long-term engagement and monetization is a core piece of the business of AAA gaming. Today, Activision Blizzard’s earnings report showed a massive piece of their profits were driven by in-game purchases. Check out the rumours of Call of Duty’s next setting. Activision Blizzard hit a record $7.16 billion in revenue this year, with over $4 billion of that coming from in-game purchases. That covers DLC, microtransactions, and loot boxes across both sides of the company’s lineup. The company’s mobile division, King – best known as the Candy Crush people – accounted for $2 billion of that total, but the traditional game market is rapidly catching up to mobile in terms of profits from in-game purchases. Profits were split pretty evenly across platforms for the year, with console games making up 34% of 2017 revenue, PC at 29%, and mobile at 30%. The remaining 7% come from other ventures, including Overwatch League. 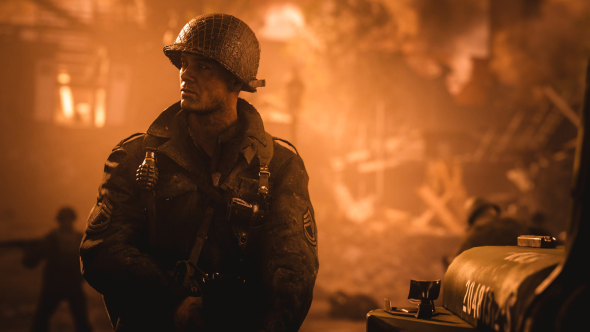 Success under the Activision brand was driven largely by launches for Destiny 2 and Call of Duty: WWII. In case there was any doubt, the company confirmed a Treyarch-developed Call of Duty for 2018, and despite frequently alluding to the success of Black Ops, stopped short of confirming a setting for the new game.